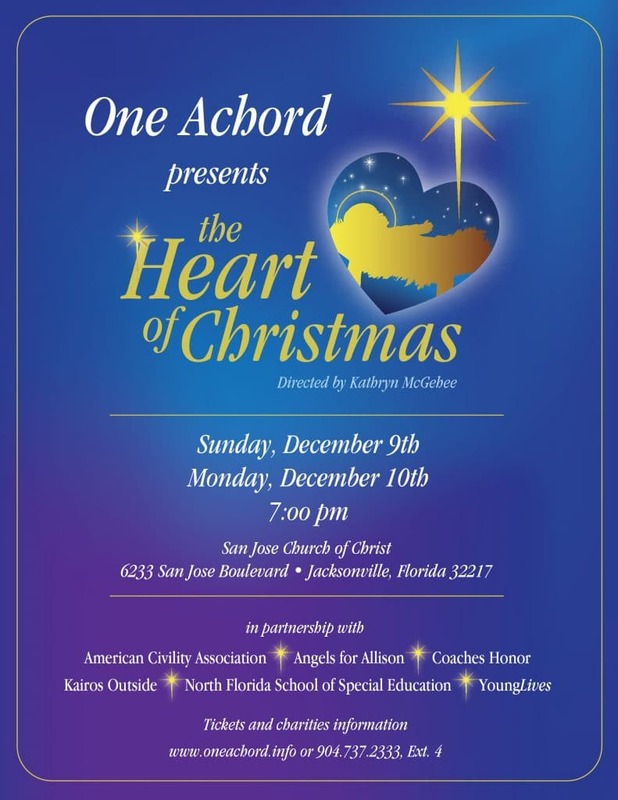 One Achord presents “The Heart of Christmas” concert directed by Kathryn McGehee. You are welcome to join the One Achord choir for a gorgeous holiday celebration filled with holiday song, cheer, and love. 100% of ticket sales go to one of six different charities including North Florida School of Special Education. Please make sure and select NFSSE as your charity of choice when purchasing tickets. There are two performances: Sunday, December 9th and Monday, December 10th at 7pm. For tickets or other information, please visit https://oa.sjcoc.us/ or call 904-737-2333 ext 4.